Will Smith just can't seem to catch a break. A few weeks ago the social media erupted over Smith appearing "too blue" in his role as the genie in the upcoming "Alladin." Now, some are saying Smith isn't quite black enough for his newest project. 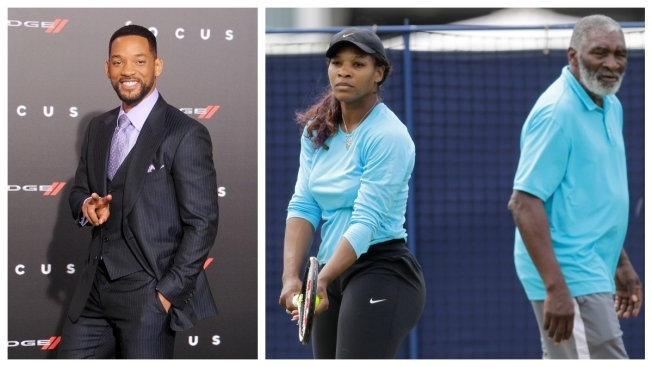 Will Smith will play Richard Williams, the father of tennis stars Venus and Serena Williams, in the new movie "King Richard." But some have pointed out Smith is lighter-skinned than Williams and suggested actors like Idris Elba and Marshala Ali, closer to Richard Williams’ skin tone, replace the “Men in Black” actor. The biopic will detail Richard Williams run-ins with racism, his scandal-ridden personal life and his struggles to instruct his four-year-old twin daughters on the tennis courts of Compton, California, NBC News reported. The film is an adaptation of Zach Baylin’s script by the same name, which was a runner-up on the 2018 Black List. After the news broke, some people took to Twitter to vent their frustration about Smith’s casting. “Why is he always cast in roles portraying dark skin men like there aren’t tons of black actors that would make more sense for the role?” one Twitter user asked. “Scarlett Johansson might as well play Venus with this kind of mess casting,” another Twitter user wrote, comparing the casting to whitewashing. Producers faced backlash when Johansson was chosen to play Major Mira Killian, an Japanese anime character, in the live-action version of “Ghost in a Shell,” according to Variety. Johannson denied the accusation. Other social media users called the casting a case of colorism and questioned if no other darker-skinned actors were available to take on the role. Twitter users on the other side of the debate over Smith’s ability to represent Richard Williams accused the opposite of saying Will Smith is not “black enough” while others said they thought Smith should be congratulated for earning the part. “Will Smith isn't black enough to play a black man, you guys are ridiculous,” someone tweeted. Does that really matter? Is Will Smith not “black enough” all of a sudden? Of course their are others. Guess what!! Mr. Will Smith got it. This isn’t the first time that Hollywood has been accused of favoring lighter-skinned black actors and characters on the big screen. In 2016, actress Zoe Saldana was at the heart of controversy when she appeared in a trailer with darkened sin and a prosthetic nose to portray singer and activist Nina Simone, NBC New York reported. Rashad Robinson, the executive director of civil rights group Color of Change, told NBC New York in a previous interview that colorism within the black community dates back to slavery when a black person’s skin tone determined where they worked on the plantation. He also said this idea is also reflected in the “brown bag” test, which compared a black person’s skin to the color of a paper bag. "It's part of white supremacy, or holding up whiteness over other backgrounds," Robinson told NBC New York. "It has deep implications, historical implications in the black community from beauty standards to professional opportunities to how families have treated one another."